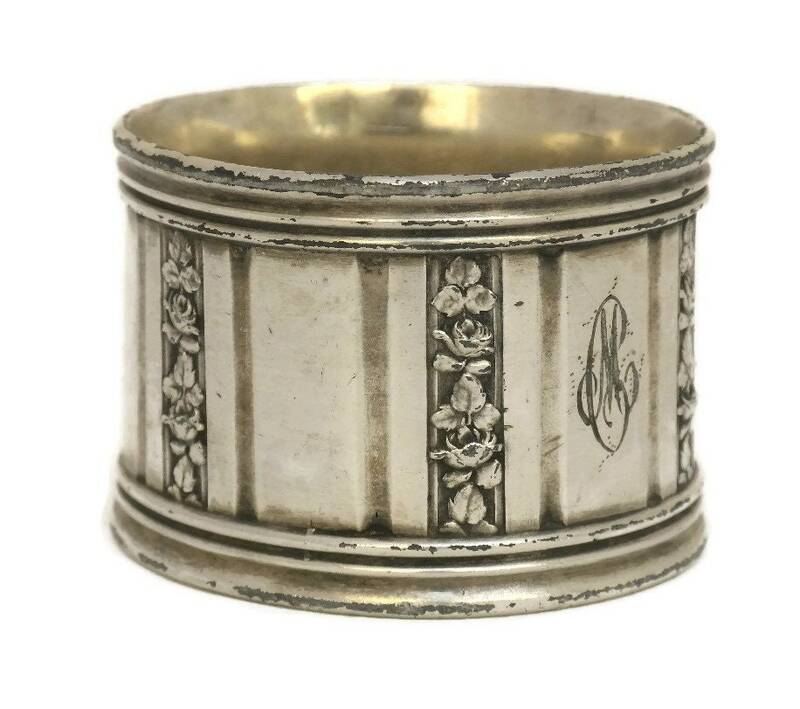 French M C Monogram Silver Plate Napkin Ring. 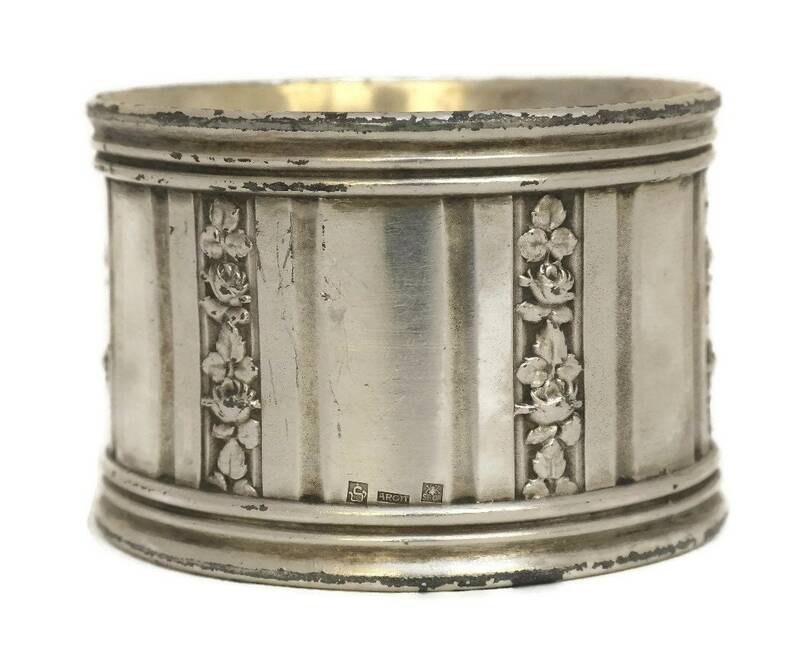 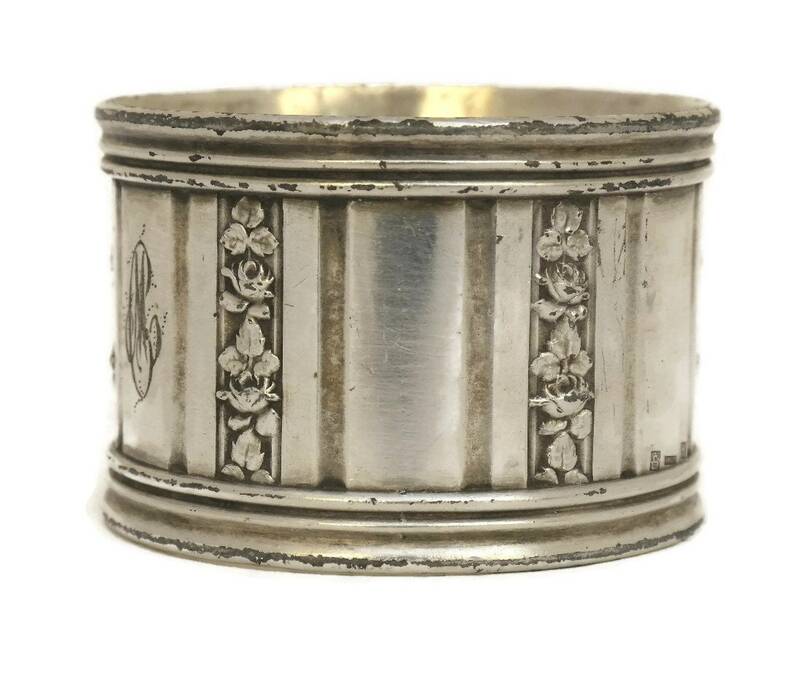 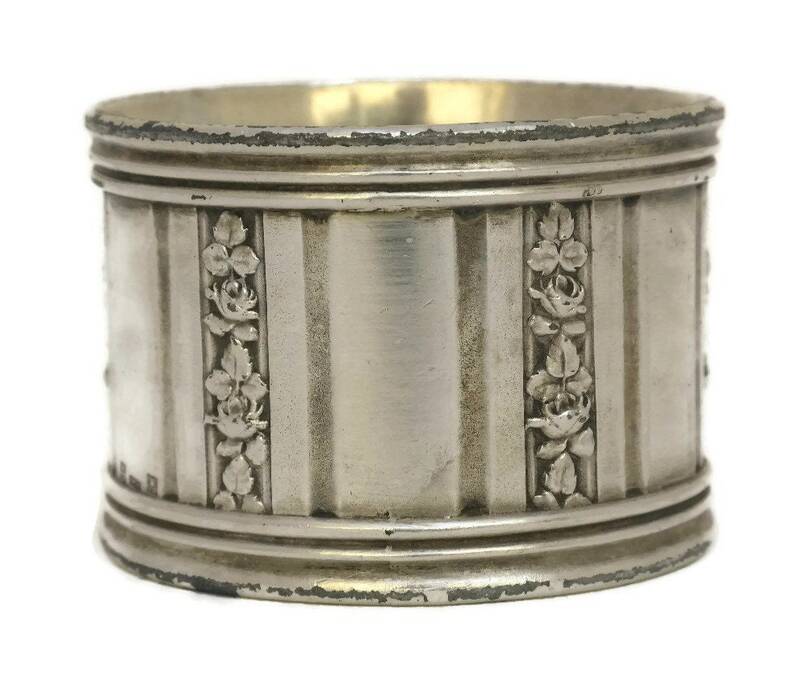 An elegant Art Deco silver plated napkin ring from the 1920s. 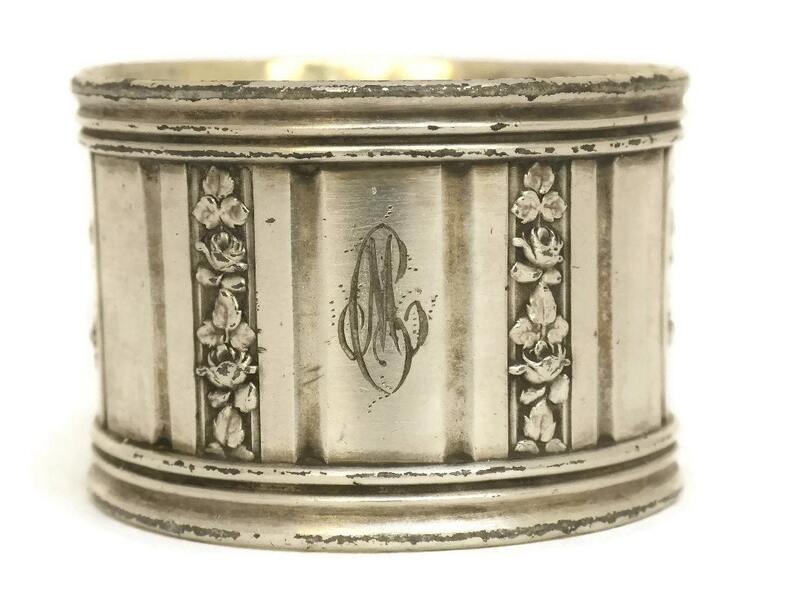 It has been hand engraved with the monogram initials M C and features a charming rose pattern. 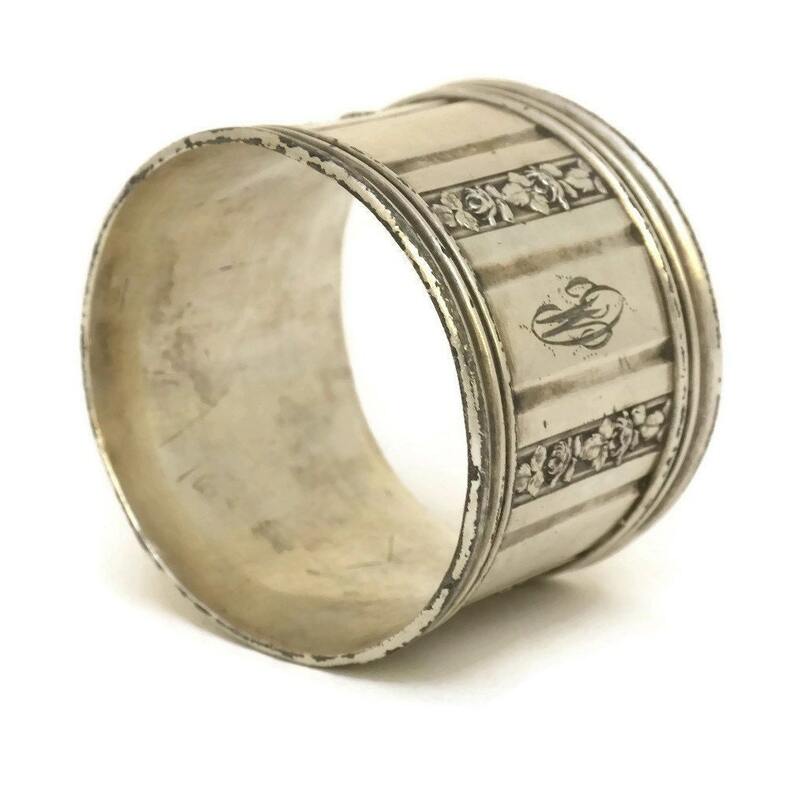 The serviette ring is a large size and was manufactured by the acclaimed French company ARGIT. 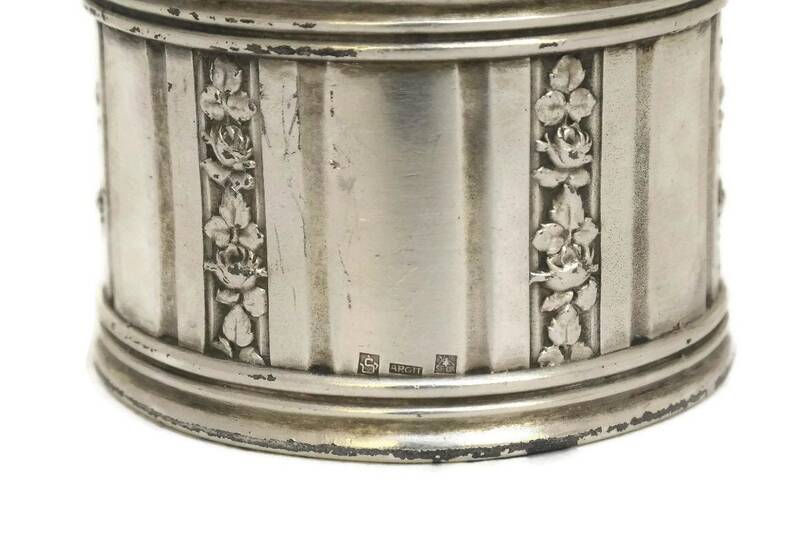 The base has been stamped with the maker's marks. 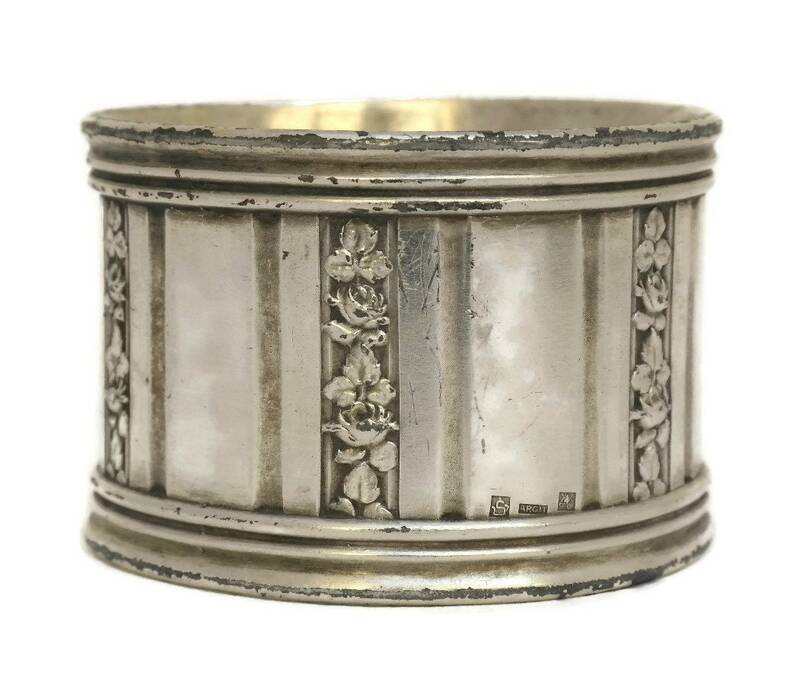 1.5" Tall x 2" Wide. 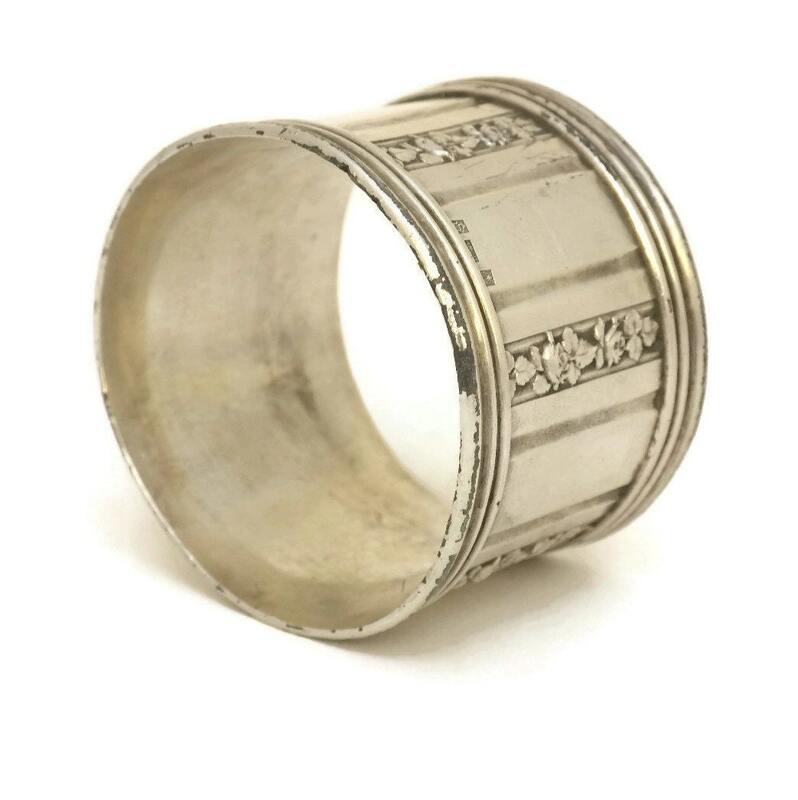 (4 cm x 5 cm). 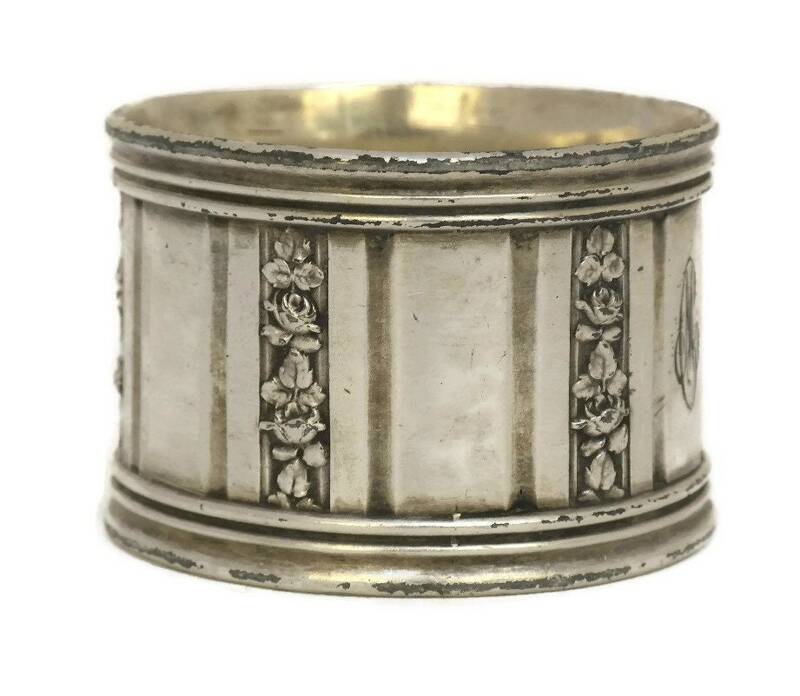 The napkin ring is in good condition with wear to the silver plate around the top and bottom rims..